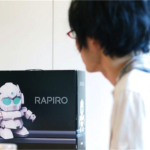 We interviewed a startup from Kyoto Japan, Up Performa, who was selected for the “Frontier Makers Development Assistance Program” by the Japanese Ministry of Economy, Trade, and Industry, and recently debuted at CES, the world’s largest consumer electronics trade fair held in Las Vegas. 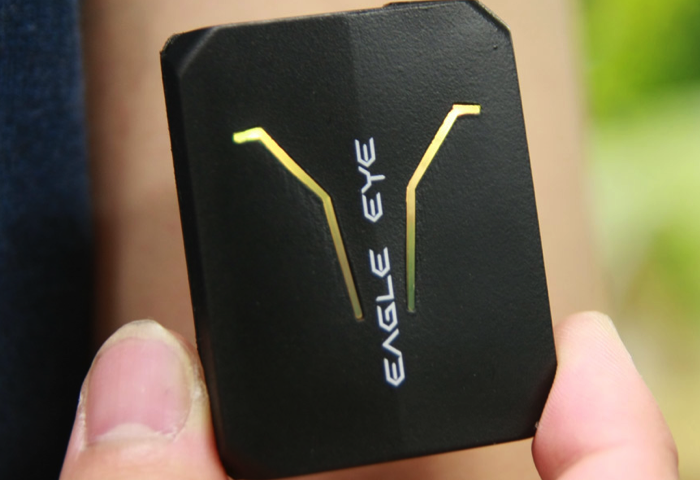 Up Performa started developing the device Eagle Eye in July 2014 with a technology known as motion logger. 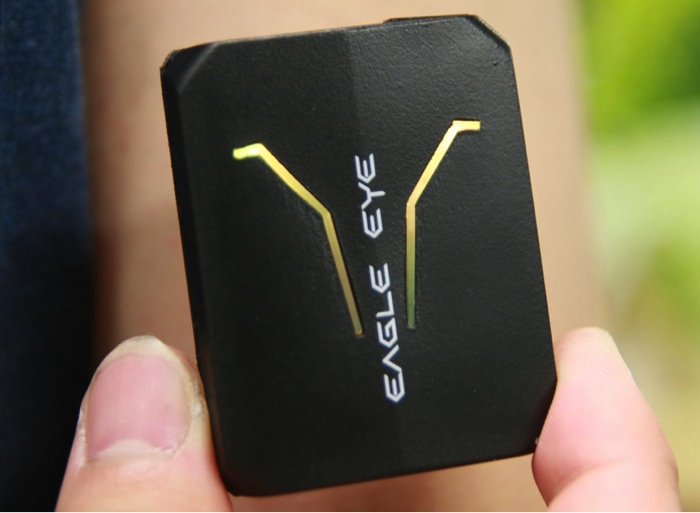 Eagle Eye is a wearable device that can visualize various types of soccer data when worn by soccer players on the pitch during a game. Use of soccer data is already a normal thing at the top-level of international play, but it requires placement of numerous cameras on the field, tons of data analysis, and tens of millions of dollars to do any useful data visualization. This makes it hard for students or armchair analysts to use this data. But with Eagle Eye anyone can get soccer data for $1,000. You could call this the tool for the public masses in the world of sports. 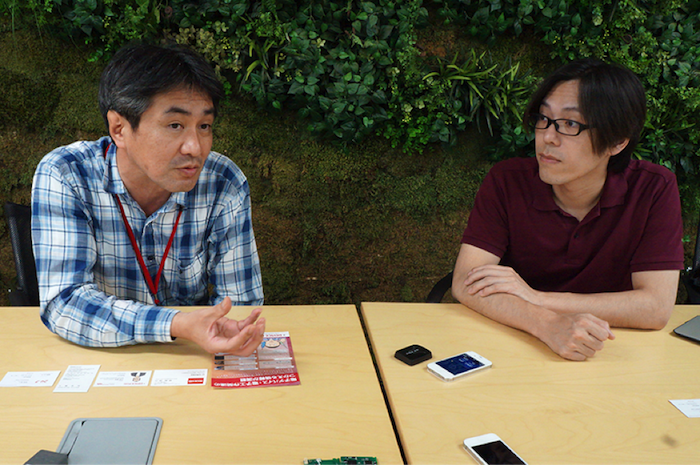 We asked the CEO, Shuhei Yamada, and the person in charge of development of the core components, Junichi Akita, about the secrets, state of development, and thoughts that went into the product. 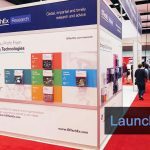 DevicePlus(DP): Would you please tell us about the product? You’re in the middle of crowdfunding at the moment, right? 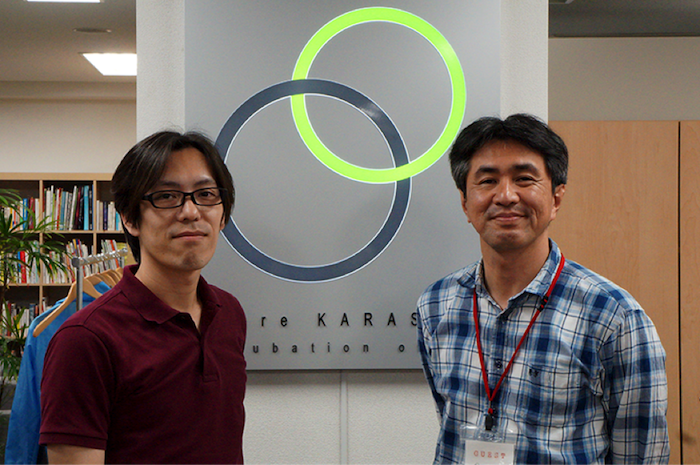 Yamada: We started on Friday, 7/23/2015 on Makuake, a crowdfunding platform for Japanese startups. The response was, well, neither explosive nor stale. It was within expectations. You could say it’s proceeding favorably (laugh). DP: So, what kind of product is it? 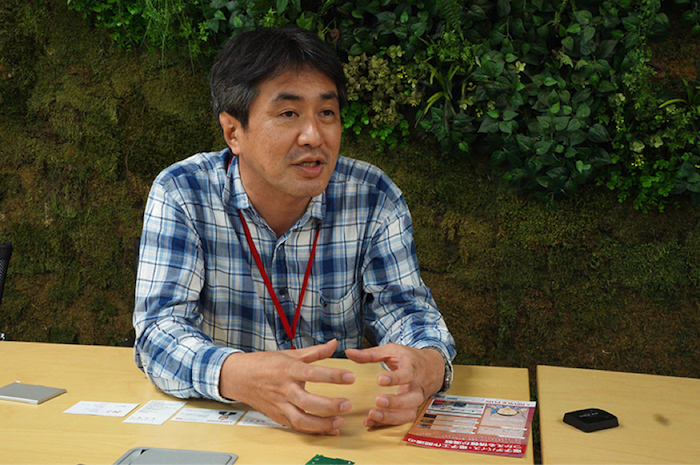 Yamada: Players attach the Eagle Eye to an arm and play a game. 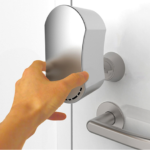 Throughout that time, the device continuously records position data using GPS. 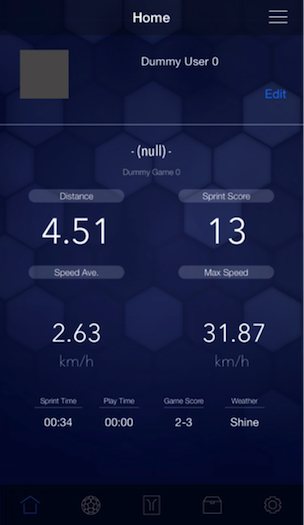 After the game, the soccer data is uploaded and analyzed, and then performance can be reviewed on an iOS app. If the whole team wears these devices, the movement will be recorded during the game and summarized. Location accuracy can be obtained to within a range of 2.5 meters, 50% of the time. DP: What was the response from users? Yamada: It’s mainly been used by middle school students, and all of their responses can be summarized by “woah!” In other words, whoever has run a lot and whoever has slacked off gets turned into numbers. Staff and coaches gave us favorable feedback like “It’s helpful to be able to see from above.” Normally, they can only have a perspective from field level, so there ends up being a gap with reality. It feels like this can close that gap. For coaches at the professional level, that kind of gap is unacceptable to begin with. Being able to envision this commanding view in your head is a requirement at the pro level. As such, it’s not so useful in those cases. Still, we’ve heard that it would be very useful at the amateur level. Also, I think that it could be used by pros who don’t have other equipment. DP: What kind of hardware setup do you use? Akita: It’s not complicated. 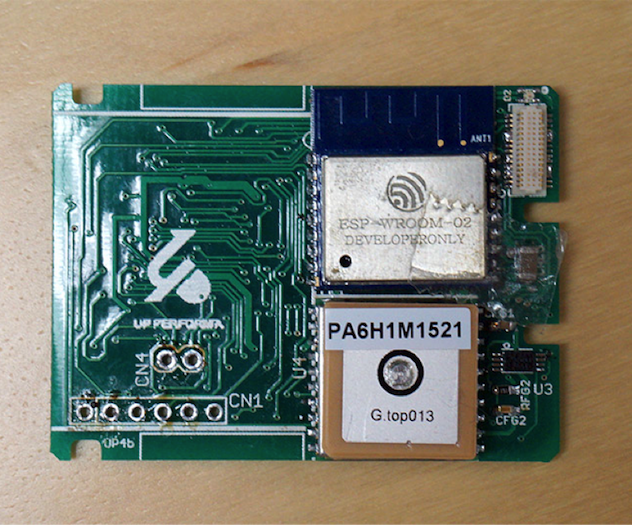 The guts of the device are a GPS module, flash memory to record data, and a radio to transmit that data over Wi-Fi. Also, it has an IC for the battery. Basically, it’s a lump of old tech. Yamada: On the other hand, that’s the point. We aren’t using the latest technology or the most complicated. Professor Akita has always talked about technological “democratization.” First, you have a goal and a purpose and you prioritize that. It’s not that you focus on the technology. If it does what you want it to do, it doesn’t matter if it’s old technology. Rather, old technology is great. That’s a sentiment I heartily agree with which is why I invited Professor Akita to join us. 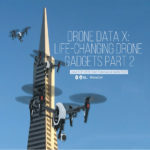 DP: When visualizing data, the software side is also important, isn’t it? 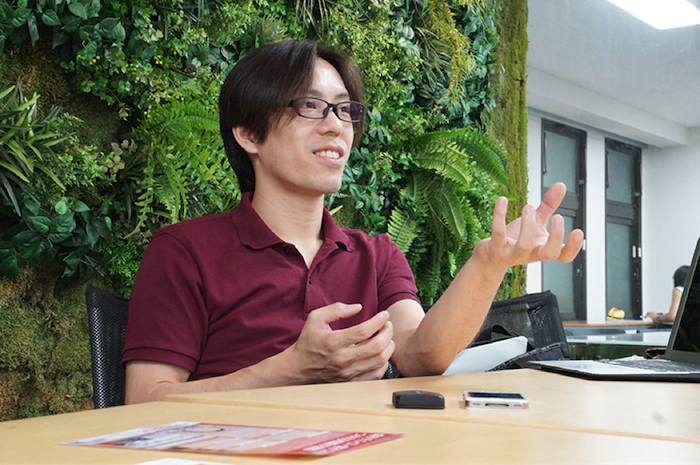 Yamada: We’re still in the middle of the software and data analysis pieces. 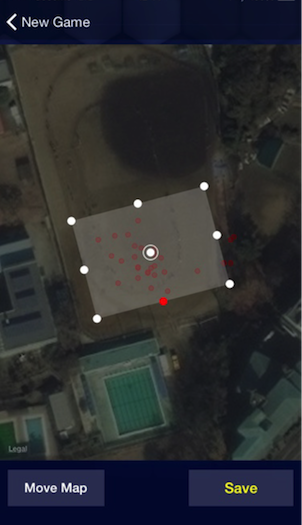 How do we increase accuracy, how do we express conditions, how do we follow the strategic parts of soccer data like the distance between players…our software lead Takuya Nishida, is doing various things. With regard to simple location data, its absolute values, so to speak, so there’s no issue. That said, things like acceleration and speed are relative values. These are hard. It’s kind of like quaternions, this concept used in the 3D programming world. This area is getting into a world even I don’t understand (laugh). DP: Yamada-san, you’re not what would be called a career technologist, right? Yamada: Correct, my previous job was fashion retail, but science runs in my veins. Not only was my father a maker with parts rolling through our home, I got my radio license when I was in elementary school, programming games on a PC98 at school. When I was in junior high, I also did HyperCard. I was doing maybe just a bit more than my peers. So, I was always engaged with old tech. On the other hand, I was on a baseball team for 6 years, I wanted to be a movie director, and I also spent time doing radio programs. Yamada: I did 30 programs for what’s called FM Hikone, designed to be elegant responses to middle school students’ personal problems and various topics. DP: Wow, you did everything! Yamada: I suppose so. I guess I’m the type that can’t do just one thing. None of them were great successes so maybe I’m a jack-of-all-trades and master of none (laugh). Still, I think I’ve always wanted to do a start-up like this. DP: I see. But doing various things, you must have had a lot of support. Yamada: I can’t do it without support, and if there’s no one with me, I’m useless. When I started, I built the first Eagle Eye prototype. It was basically just a circuit board in a plastic container. Akita: That’s right. Seeing that, thinking that Yamada-san is the type of person who wants to make something and does it, is when I started participating in this project. Originally, I thought this could be something good for my students to participate in. Students don’t have a lot of money and they do research while working part-time at a bar or convenience store in Japan. But I think that’s a waste and thought it would be great if they could contribute to Yamada-san’s project. In doing so, they could get some real-world experience, and I thought this was a great opportunity, so I built this current prototype, but I think it was something that even students were able to do. A student being able to contribute to a project like this is Mr. Akita’s dream. DP: What other members are there? 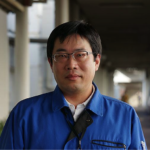 Yamada: In hardware, in addition to Professor Akita, we have Jun Kojima, and Shoichi Imamura, Takayoshi Kasuga, Hiroki Kawahara , and Takuya Nishida in software. Not everyone is an Up Performa employee. Everyone has their own work but is also participating in this project. They’ve been a great help. DP: Why are they all involved? I have to think this must get difficult. Yamada: Yeah, I’m the one who worries. But, maybe, I think they must be involved because they all find it interesting for some reason. We also have several members who love soccer. Akita: That’s true. 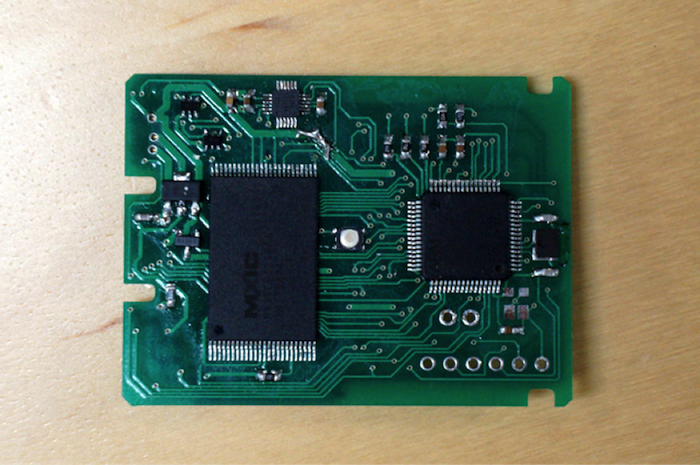 Soldering and messing with circuit boards is a hobby for me. The scent of solder is relaxing to me. I call it solder therapy, haha. DP: What’s it like, doing development with people like this? Do you ever feel pressure, knowing that people are doing you a favor? Yamada: Hmm, things are good, I think. 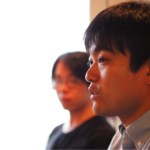 Akita: One time, 3 hours before we were going to produce the circuit boards, there was a huge change. I forget the details, but we decided to go from 2 to 4 LEDs and there were various changes related to that. If this had been a normal professional order, it would have been a story of “do it over” or “that will cost $3,000.” But, because I was doing it, it was fine to make such a big change. Even with stuff like this, if it gets rough or if the motivation isn’t there, this kind of thing wouldn’t happen. DP: It seems like pushing this product out into the market brings on a certain responsibility. For that, you might need to manage your company? How is that handled? Yamada: Yes, in that situation, I think I could do something. If there were trouble that couldn’t be helped, I’d have no choice but to do something. Akita: I think that since Yamada-san takes ownership of that, everyone can relax and do their own jobs. When you have the urge to build, that’s when you start building. DP: I see, so having someone like Yamada-san is the unifying force that draws everyone else in. Lastly, do you have any message you’d like to pass along to our developer readers? Yamada: Believe that you can do it. I think it’s most important to have that instinct. Of course, it’s important to have knowledge about technology and systems. But, a time will come when that will have its limit. So, I think that not just studying, but focusing on your insights, is more fun. Akita: Exactly. To put it a little bit differently, it’s important to not be scared of making things. In the manufacturing world, there is a history of natural pioneers. Bearing that in mind, there are cases of people who end up embarrassed or fearful. Rather, don’t worry about that and try it yourself. Like Yamada-san, make stuff like an amateur, even if you may need to build it with putting circuit boards inside of a plastic container. If you try something, and you see electrical resistance or smoke coming from your transistor, you can learn from that. The theory and logic will come. Luckily, in this day and age, you can do that sort of thing. The progress of technology allows us to do advanced things but it also allows everyone to reasonably build and test things. Arduino is a perfect example of this. Anyone can build them and as I said earlier, I think we should take advantage of the “democratization” of technology. If there’s someone who wants to build something, they can build it and they should build it. In the meantime, I’ve got a personal project to build a Large Scale Integration (LSI). Yamada: I agree. I think people can make whatever they can imagine. If you can imagine, you can make it. When you think you want to make something, just start making it! For more info about Up Performa and Eagle Eye, visit Up Performa.